Dan has worked on hundreds of TV programmes including some groundbreaking shows such as The Word, The Brit Awards, Big Brother and Top Gear. He has shot and directed many corporate and music videos and has been on the board of various media companies including Air Studios. 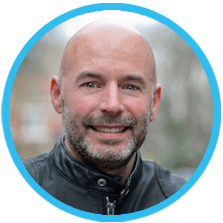 Dan is also a qualified Master NLP Practitioner, Hypnotherapist and Counsellor and is a well known figure in the television industry. Dan brings both his filmmaking and business experience to corporate video production. He can very quickly get to grips with brand values and key messages and translate that into compelling and imaginative video content. Dan was nominated for a BAFTA in 2002.